“KYOTO Trip+,” is an official application offering tourists and　citizens in all over Kyoto Prefecture Tourism and Disaster information. 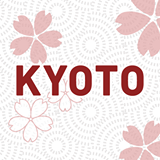 We support each and every one a comfortable Kyoto tourism and Kyoto life.We offer you with reliable information from Kyoto Prefecture, Kyoto City, local governments in Kyoto prefecture and tourist organizations. In terms of sightseeing information we offer not only sightseeing spots, seasonal events, transit information but we would like to recommend tourism in Kyoto you would be interested in. So, in terms of disaster information for your safety, we also offer information about any kind of disaster information and evacuation information in case of a disaster or an emergency by setting up alert information.